Abstract cityscapes are among my favourite subjects. 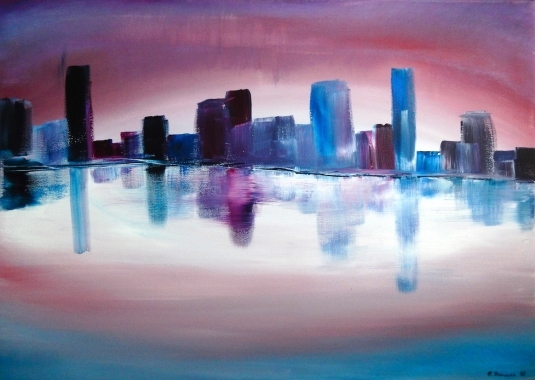 This painting is roughly inspired by Brisbane skyline when the city is washed by violet-pinkish early morning light. I used fewer colours than usual for this painting, although perhaps a bit more than initially planned for. 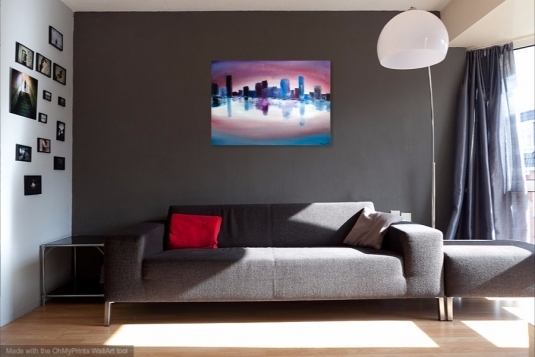 The main colours are white, ultramarine blue and red. I soon grew bored with them, so I added a bit of Prussian blue and the colour I call grape jelly. A delicious colour, if you ask me. 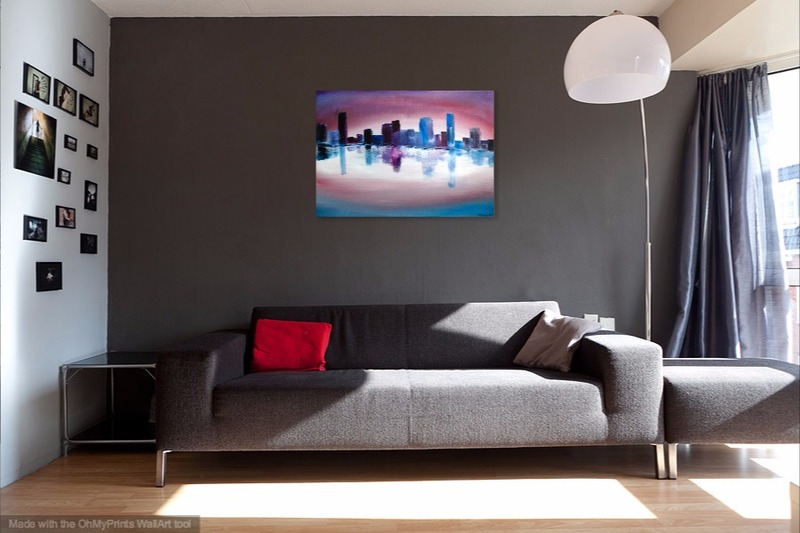 The result is what you see – an abstract city skyline at sunrise reflecting in very calm water. The original is available for sale and you can purchase prints.